In yesterday’s post about the Consumer Health IT Summit, I noted how access to data plus the trusted relationships around it are important. 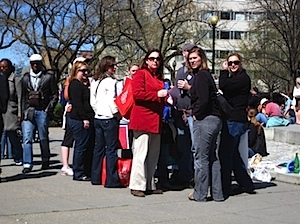 With two days left before the “Social Media in Care Delivery” Technology Demo Day at The Sidney R. Garfield Center for Health Care Innovation, I am sharing what I have learned on this topic, thankfully crosschecked by my colleague in the community, Susannah Fox (@susannahfox), from the Pew Internet & American Life Project. 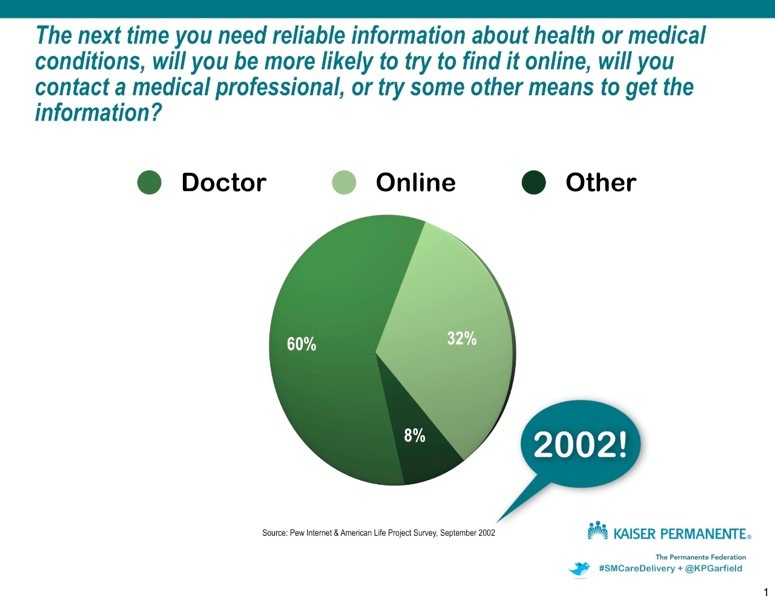 I remember presenting the data above and thought it showed a trend that physicians should take note of – with as many patients going on line, it was likely that the percentage of people going online would soon outnumber those going to a doctor first! And…..I was wrong. What I thought was going to happen didn’t. 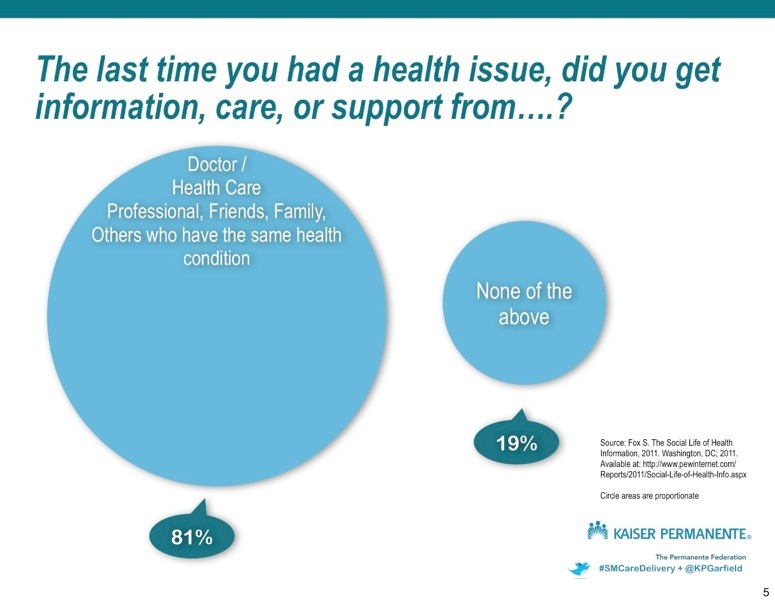 People not only say “if they had a health issue” they would contact a health professional most often, they say, “when they last had one” they choose health professionals most often. This represents impressive “stickiness”. Log-in data confirms this – 26% of currently registered users logged in 11+ times in the last quarter. Of all currently registered users, only 33% did not log in once. 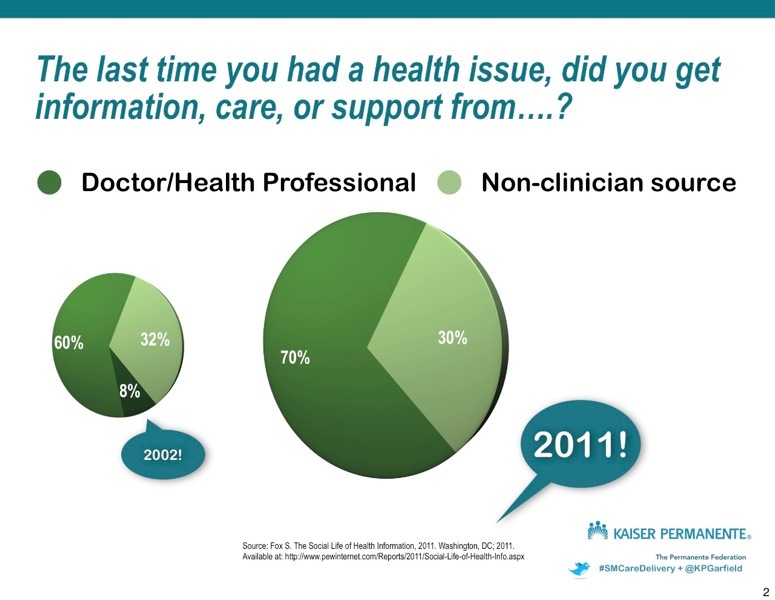 People still consult more than a health care professional, though. Similar to the personal health record that is not successful unless it includes the relationship, social media in health care has an opportunity to be successful if it includes the relationship. If it doesn’t, what will happen? The major social networks that people use today are not adequate from a privacy, security, workflow perspective to allow this connection (think: identity proofing, audit trails, adequate controls, privacy approach/policies). As a result, there is segregation between accessing a health professional (online or not) and a social network (online or not). Could this be different in the future? How? This is one of the major questions to be explored at Technology Demo Day. The fourth of four teams who are coming to present is Jive Software. 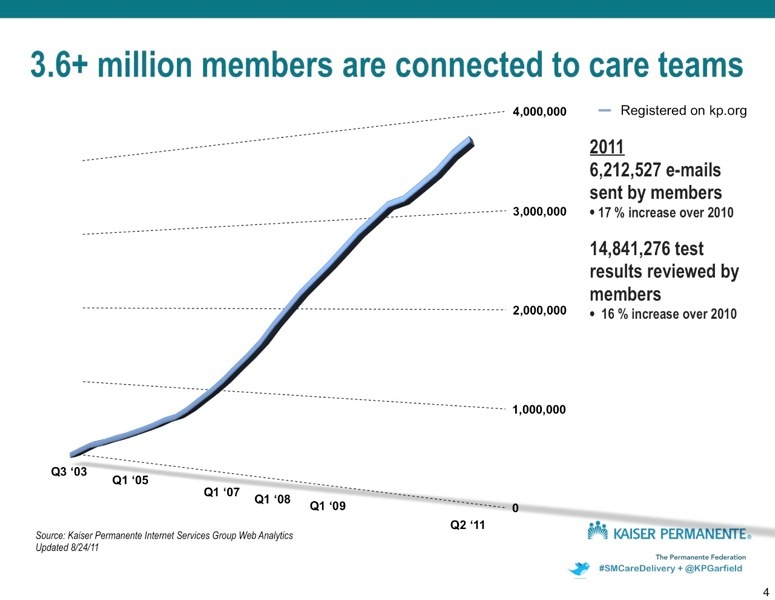 They produce the software that runs Kaiser Permanente’s internal social network, which brings with it the experience of enterprise social networking. So there will be teams that understand quantitative crowdsourcing, linking personal health records to social networks, enterprise social network mapping, and enterprise social networks themselves, along with care providers and patients (yes, patients). There will be tweeting from the event (#SMCareDelivery and @KPGarfield) and I’ll blog what I learn here. I’m guessing that this trend still won’t change even in 100 years from now since it is more or less a facet of being human: comfort with a big decision (like that of our health) needs nurturing and nurturing can only really come from a relationship with someone who has more experience (like a health care professional with the education and training for your particular health problem who you know cares about your outcome). Awesome summation – thank you! From this perspective, then, networks that don’t incorporate this relationship (because frankly it’s hard to do) may not achieve the results in engagement -> health improvement -> disability-free life years that they hope for.